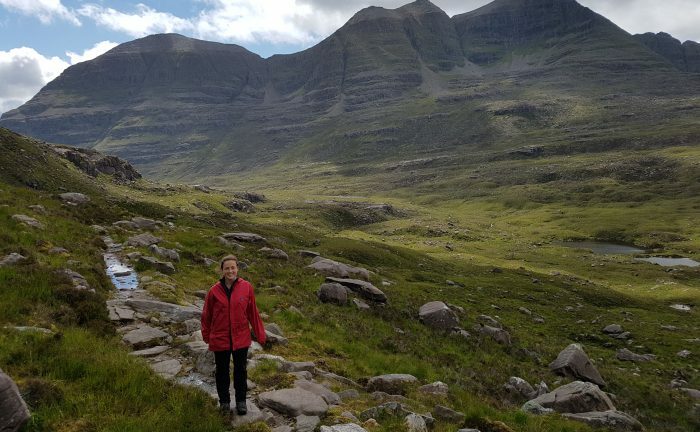 Scotland’s Northern Highlands are perhaps the wildest, most dramatic cross-section of the entire country, and the now-famous North Coast 500 road trip provides direct access to this remote landscape. If you happen to be experiencing the route on a drive and hike tour, you’ll find your itinerary packed full as you attempt to artfully balance the miles of scenic twists and turns on single-lane roads with the many options to walk heather-covered hills, through moody valleys, and along empty coast. The Seafood Shack in Ullapool. Photo by Richard Ainsworth. A good trip can’t include bad food, right? This seafood ‘van’ hidden away up a side street in Ullapool was the simplest and best meal of our trip. Its hours aren’t regular and we were lucky to find it open. On one of the sunniest days on the North Coast 500, we sat in a fenced-in yard at a high-top table made of whiskey barrels eating freshly-caught Haddock wraps and Cullen Skink. The menu was small, but there’s no need for too much choice with such satisfying grub. After a day of hiking the Ullapool Hills, it was the perfect way to refuel for the next adventure. 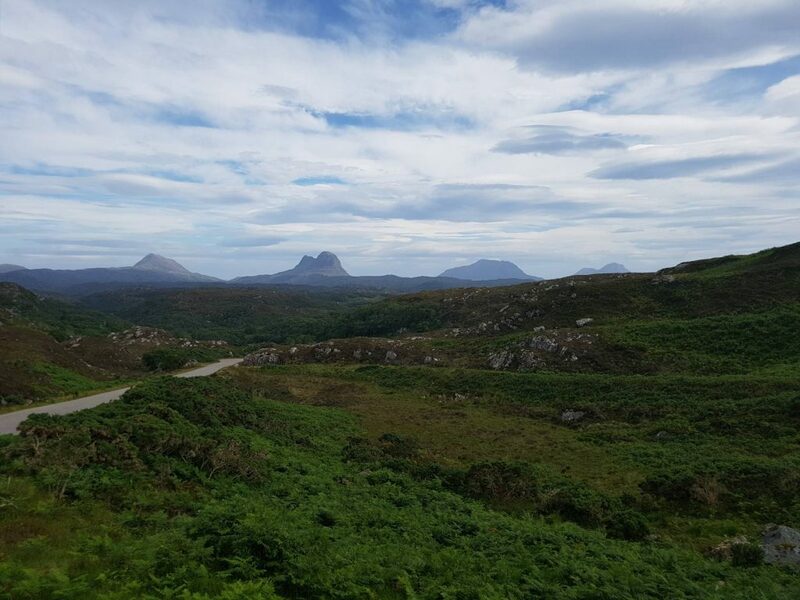 Views back to Assynt’s mountains on the drive to Durness. Photo by Richard Ainsworth. The drive between Ullapool and Durness was a source of consistent awe. With every hour, the mountains get grander and the road curves through more open and empty land. So focused on what’s ahead, you might not notice the grand landscape fading away behind. Needing a quick stretch, we pulled into an unassuming lot for one of the best views back across to Assynt and the magical west coast we were leaving behind. 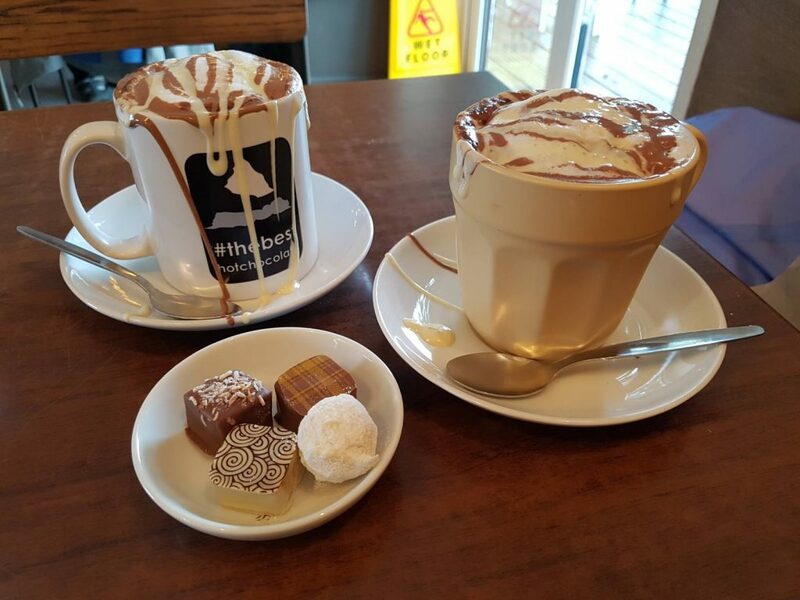 Chocolate chasers at Cocoa Mountain Café. Photo by Richard Ainsworth. A rainy day in Durness meant we opted for a shorter walk and found ourselves with a free afternoon. After a chocolate-heavy lunch at Cocoa Mountain Café, we explored the rest of Balnakeil Craft Village. Converted from old army barracks, each shop or studio doubles as the artist’s home. One welcoming shop owner offered insight into the effect of increased tourism on their tiny Scottish village and we left with a better appreciation for the locals whose towns were suddenly sprung onto the map with the creation of the now-famous driving route. 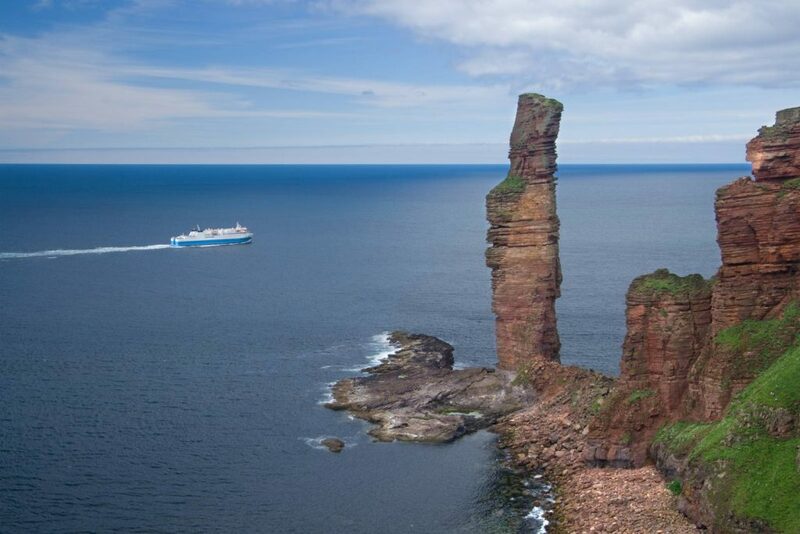 More than just a means to jump off the top end of Scotland and explore the far-flung Orkney Islands, a ride on the MV Hamnavoe is an experience in itself. No matter the strength of the wind, be sure to step outside as the boat makes it’s slow passing of the towering limestone cliffs and ‘Old Many of Hoy’, before making a right turn toward Stromness. For our trip there was no room in the inn at Thurso. 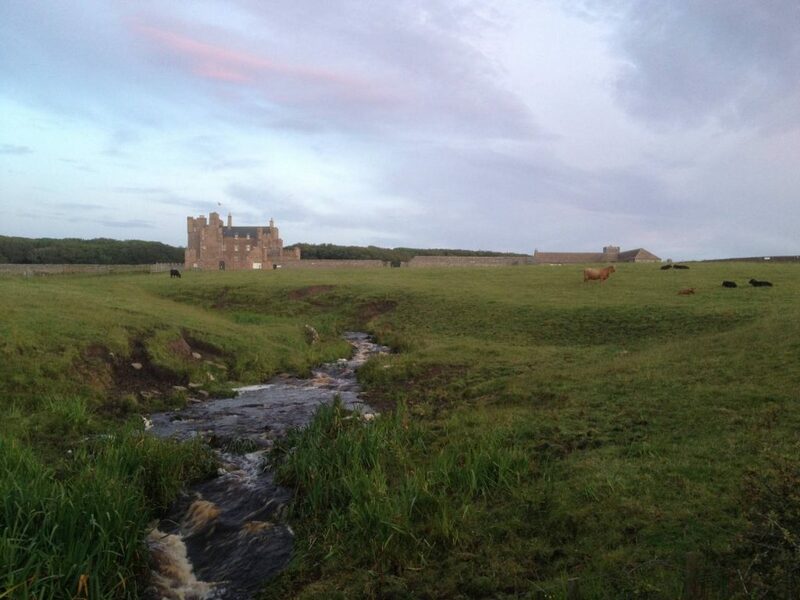 Instead, we stayed at a hotel just up the road from the wooded entrance to The Castle of Mey, the Queen Mother’s home at the edge of Scotland. Rather than experience the tour listed in our itinerary, we took a spontaneous after-dinner stroll on the quiet country roads that border the property. Watching the sunset over the North Atlantic and then turning to see unobstructed views of the castle from the coast was one of the highlights of my trip. We even got to pet a few of the royal cattle who were eager to say hello. 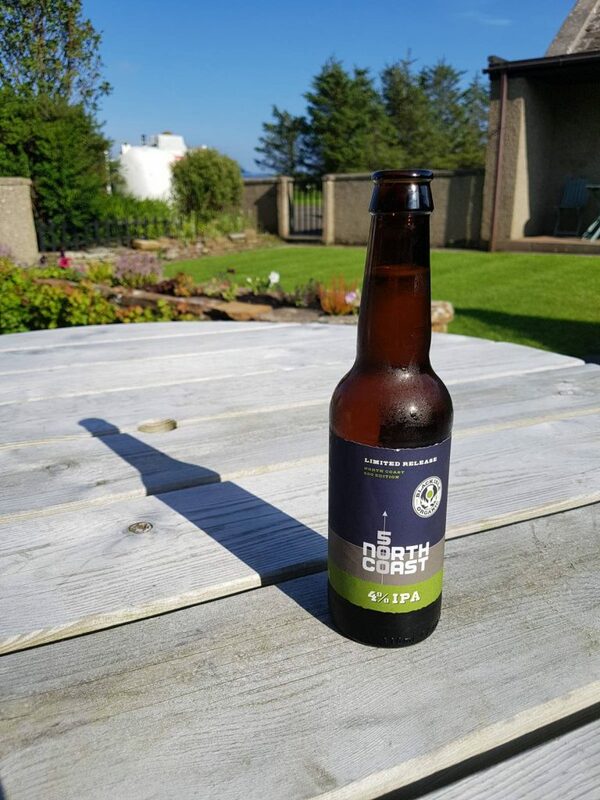 Black Isle Brewery’s North Coast 500 IPA. 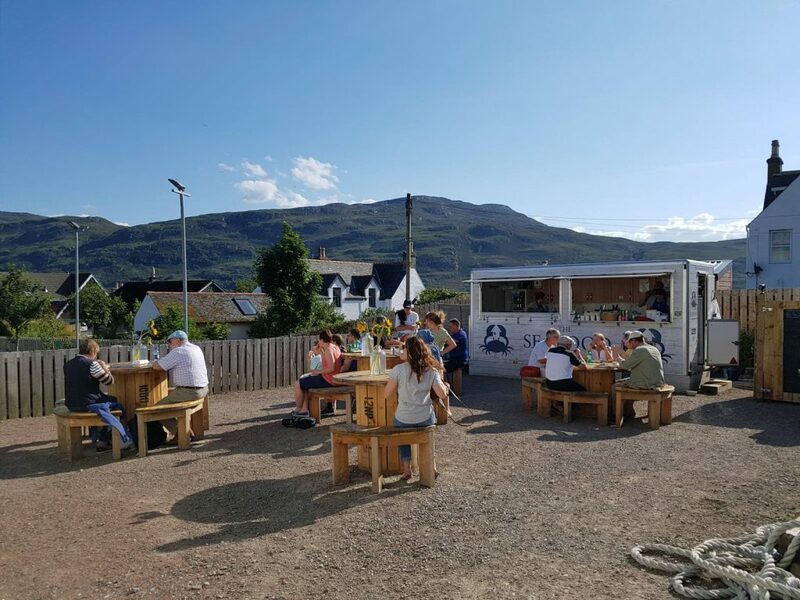 You can visit the brewery itself on The Black Isle, but as you finish your trip in Inverness I recommend a local pint and a brick-oven pizza at their Inverness pub to celebrate the conclusion of your grand tour of the Northern Highlands. 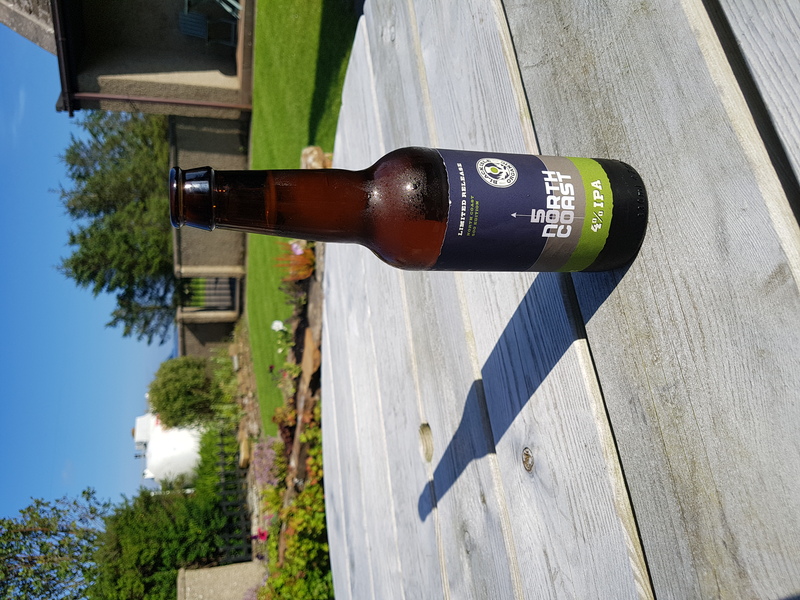 You might try for the Special Edition ‘North Coast 500’ IPA.